If you are looking to replace your house siding without breaking the bank, aluminum should be on your short list of materials to consider. Before vinyl siding was invented in the 1950’s, aluminum dominated the scene. While it is no longer as popular as it once used to be, aluminum siding remains attractive to many homeowners who are looking for an economical, but durable alternative to vinyl. It is important to consider all the pros and cons of aluminum to decide whether this material is a good fit for the style of your house and your personal needs. One of the greatest advantages of aluminum siding is its reasonable cost compared to other materials, such as HardiePlank, wood, or premium vinyl options. Clapboard aluminum siding costs about $6.50-7.00/sq.ft. installed. Vertical panels start at $9.00/sq.ft. or more installed. Here are the top reasons to consider installing aluminum siding on your home. A big benefit of aluminum siding is that it is a stable material at all temperature ranges. While extreme hot or cold temperatures can damage vinyl, aluminum siding remains unaffected, continuing to protect your home. This property makes aluminum siding a smart choice for homeowners who live in areas with extreme temperature variations. Of all siding materials available, aluminum is one of the most durable and long lasting. The aluminum itself can last virtually indefinitely, and it is also a rot-proof, waterproof, corrosion and termite resistant material. As a result, aluminum is able to withstand years of exposure to the elements. In terms of durability, aluminum by far outperforms vinyl siding. If your home is in a coastal area, aluminum siding would be a ideal choice, since the metal reacts with air to form aluminium oxide. This is an extremely hard coating that seals the aluminium surface from further degradation and provides superior protection for your home. Apart from removing occasional dents, aluminum siding requires very little regular maintenance. 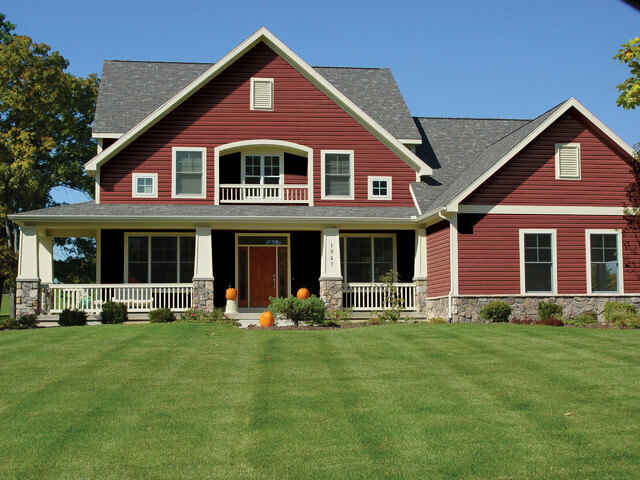 Once the siding’s color fades, it can be easily repainted to look like new. An added benefit is that the extra layer of new paint will not only improve the appearance of your home, but will actually improve the durability of the siding as well. A good paint job on aluminum siding can last for about 20 years. Aluminum siding is a great insulator. It adds more insulation to your home then vinyl siding. Additional insulation can help reduce your heating and cooling costs, particularly if you live in a colder climate. Many homeowners really like the attractive look of aluminum. This material is available in a wide range of styles including horizontal, vertical panels and a broad array of pre-finished colors. 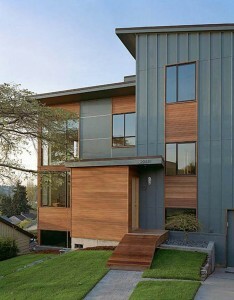 Aluminium siding is also available in a variety of textures including wood shake/shingle style. Note that it is not possible to do detailed trim work on this material. Overall, aluminum is a great fit for more modern style homes, but would also work on traditional architecture. There are a number of disadvantages to installing aluminum siding, which you should be aware of before you decide to settle on on this material. Unlike vinyl, the original color of aluminum siding will eventually fade. In addition to gradual fading, the pre-finished paint is known to also chalk, and run off onto the walls below the siding and it can even wear down to bare metal. Scrubbing, washing or even steam cleaning aluminum siding cannot make it look the way it used to when it was new. This means that sooner or later you will have to repaint it. If you are willing to spend extra money, now you can purchase vinyl coated finishes that will help alleviate paint problems of cheaper aluminum siding products, significantly prolonging the fresh new look of your siding. In case aluminum siding gets damaged or punctured, it is a challenge to patch in a piece of metal. 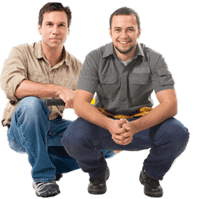 As a result, large scale repair jobs are both difficult and costly. Repairing a hole or damaged part requires removal of a very large piece of planking, or the use of metal sheers that can leave visible cuts if not used properly. Aluminum siding can be dented or damaged by impact. If you live in a area that gets a lot of hail storms, this material would not be a good option to protect your home. Similarly, aluminum may get easily damaged if you live in a high traffic area where debris or sticks could hit the siding, or there are lots of children, who may bounce balls off of it. Dents on aluminum will not spring back like they might on vinyl and the strip may need to be replaced or refinished to make it look right. Because aluminum siding is made of light, flexible metal it is prone to being noisy when the wind starts to blow hard. As a result, you get a lot of “pinging” sounds when it rattles in high winds. Similarly, you may hear additional unwanted noise if it rains really hard. Consequently, if you live in an area that is prone to strong winds and/or heavy rain fall and you are also sensitive to outside noise, aluminum siding may not be the best option for you.